Central City Productions hosted the 32nd Annual Stellar Gospel Music Awards last night in Las Vegas, NV at The Orleans Arena. The annual show, hailed as an “epic night in gospel music,” was hosted by Erica Campbell and Anthony Brown. Also taking place during the Stellar Gospel Music Awards were close to 50 other events including concerts, workshops, industry panels and listening parties. These events targeted the Gospel Community with some of the biggest names in Gospel from Kirk Franklin, Tamela Mann, David Mann, Earl Bynum to Lucinda Moore, Earnest Pugh and Sherwin Gardner. The telecast will premiere on TV One, on Palm Sunday, April 9 at 6pm ET with encores at 8pm and 11pm ET. 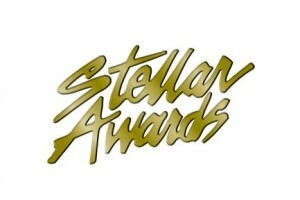 Additionally, the Stellar Awards will air in national broadcast syndication April 15-May 7, 2017. The night included performances by Tamela Mann, Shirley Caesar, Jekalyn Carr, Fred Hammond, Kirk Franklin, Bizzle, Canton Jones, Da’ Truth, JJ Hairston and Youthful Praise, Travis Greene, Jonathan McReynolds, Jonathan Butler, VaShawn Mitchell, Tasha Cobbs, Doug Williams, Keith “Wonderboy” Johnson, Da Chosen Brothaz, Donnie McClurkin and more. Stellar Awards founder, Don Jackson bestowed special honors upon gospel legend Spencer Taylor (of the Highway QC’s) and Reverend Clay Evans. Stellar Honors Hall of Fame inductees included: Fred Hammond, Mississippi Mass Choir, Catherine Brewton, Harvey Watkins, Jr. and Dr. Leonard Scott. This entry was posted in Gospel and tagged 32nd Annual Stellar Gospel Music Awards, winners by Kris Patrick. Bookmark the permalink.